Enhanced by latest advance technologies and keen workforce ability, we are in a position to be the best to manufacture, supply and export world class quality 70/30 Copper Nickel plates. We are the most prominent source of supply for C71500 alloy cupro nickel Plates in India. C 71500 (70-30) Copper Nickel alloy Plates are preferred to 90-10 Copper Nickel alloy Plates where corrosion and temperature conditions are more severe. C 71500 Copper Nickel 30% Alloy Plates offers excellent corrosion resistance, stress corrosion cracking resistance moderately, high strength and last but not least good creep resistance at elevated temperatures. Cupro nickel C71500 alloy Plates contains 30% nickel and is best suitable copper alloy metal Plates for applications in areas of high temperatures and pressures combined with high velocity and turbulence is matter of concern. These Cupro Nickel Plates are being manufactured in line with the set industrial standards using qualitative raw materials inputs which are source from authentic pre verified mills of the domain. UNS Designation Number of 70-30 copper nickel plates is UNS C71500, Our 70/30 Cupro Nickel Plates are uniform in construction and dimensionally and thickness wise accurate enjoy the feature of corrosion resistant and off course easy to install and maintenance free. We can supply these C 71500 copper nickel Plates in all different thickness and sizes as per the customer's specifications at very reasonable prices as well. We are the largest and most diverse inventory of alloys in India with the very latest in material handling and processing equipment. Our goal is to continue to be a true “source center” for our copper nickel alloy plates customers. We provide accurate, rapid quotation services and the ability to deliver Cu-Ni plates on time, preprocessed if necessary to our customer’s exact specifications. We have a vast experience for supplying and exporting Cupro Nickel Plates with best suitable export worthy packing for all valued orders. 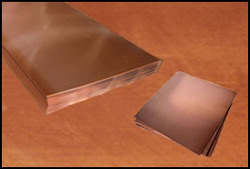 C 71500 Copper Nickel 30% Alloy Plates are typically used for manufacturing condensers, boilers, condensers, process equipment, refrigerators, propeller sleeves, ferrules, heat exchanger tubes, evaporator tubes, distiller tubes being widely used in sea water service, sea water condensers, salt water pipe lines, salt water applications, salt water piping and internal parts for sea water applications and fittings. We are so precise in our quality and confident about our Copper Nickel Alloy Plates that we can offer our product with any world known third party inspection and certifications. All C715 Cupro Nickel Plates are marked with alloy name, Thickness, Width, Length and heat number. Additional information like standard and copper nickel alloy numbers or even buyer's logo can be added on special request. Note : Information provided on this web site about cupro nickel alloy C 71500 plates is for general information purposes only and subject to alteration without notice, we do not accept responsibility for errors or for information which is found to be misleading. 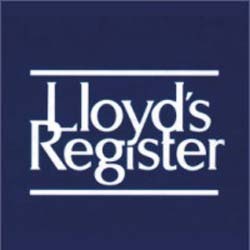 Suggestions for or descriptions of the end use or application of plates or methods of working are for information only and the company and its subsidiaries accept no liability in respect thereof. Before ordering copper nickel alloy plates supplied by us, customers should satisfy themselves of their suitability.